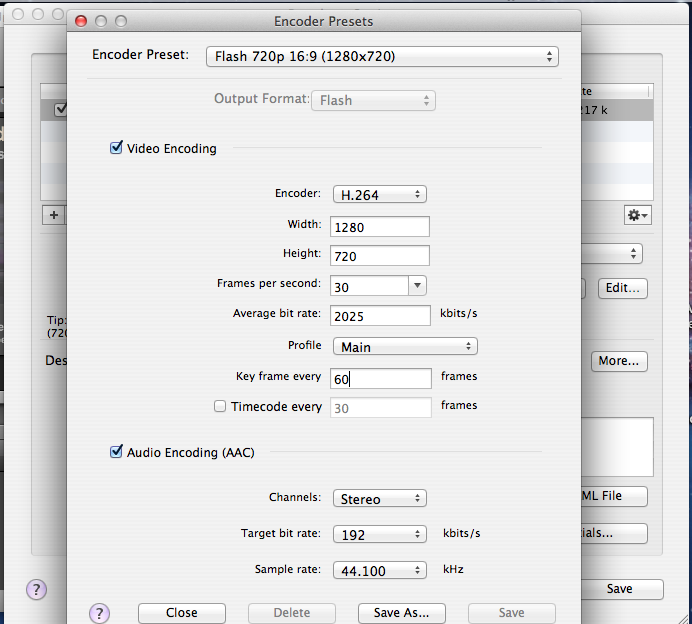 Wirecast 5 added support for the x.264 codec. This is the default codec in the preset when you use Wirecast to stream to Ustream. We have noticed that the use of the x.264 codec can cause audio sync issues in both live broadcasts and recorded videos on the Ustream platform. Lowering the key frame interval and switching the codec back to H.264 resolved issues with audio sync. Our engineers are investigating the issue and we will update this thread when we know more about x.264 compatibility. 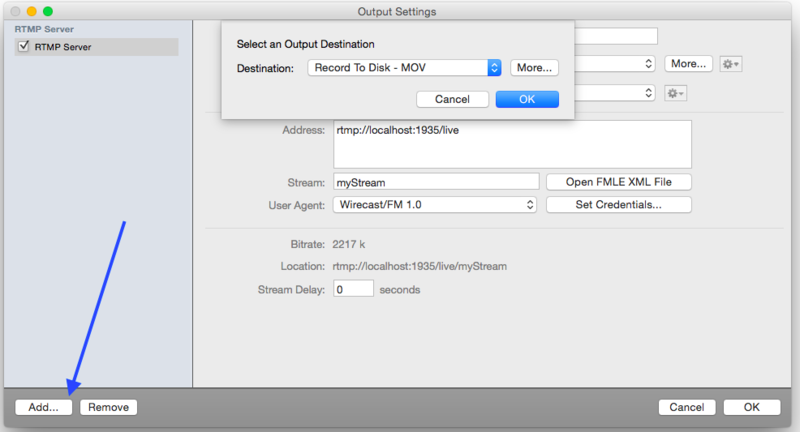 Wirecast offers two options for streaming to Ustream- using their built in plug-in, or manually configuring the RTMP URL of your destination. Go to the Broadcast Menu and select Output Settings to bring up the Broadcast settings panel. Select Ustream from the dropdown list available and click OK. Select the resolution and bit rate preset you wish to stream with using the Encoding drop down menu, or create your own preset from the gear icon to the right of this menu. Enter your Ustream username in the Username field, then click the Authenticate button. Enter your Ustream password in the pop up field that appears. Once logged in, select the channel you wish to stream to from the Channel drop down menu. Click OK in the lower right corner of this page. Wirecast is now set to stream to your Ustream account, on the channel you selected. You can begin your stream by clicking on the Stream button in the upper left corner of the Wirecast console. Under the Destination select RTMP Server and then OK.
As with using the plug-in, you can either use a preset resolution and bit rate from the drop down menu, or you can generate your own custom preset by clicking on the gear wheel and choosing 'New Preset'. Please select H.264 encoding. We recommend changing H.264 as the encoder and setting the Key Frame interval to a value between 30 to 60. The default is 240. This will result in a better looking stream. Once you have chosen your encoding output settings, you need to configure the destination of the stream. 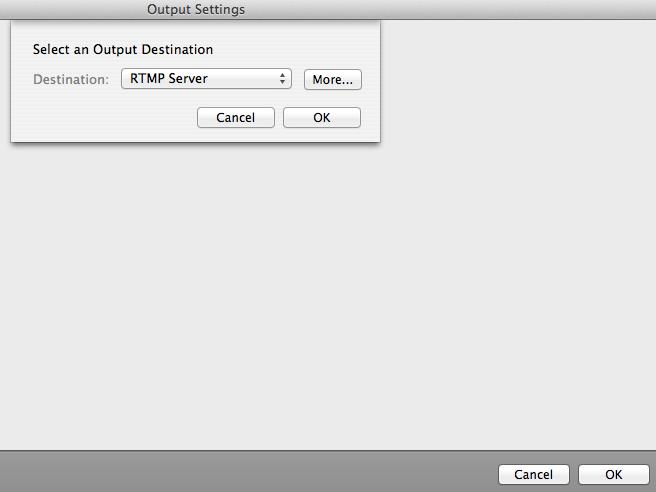 This is done by adding the RTMP URL and Stream Key of a specific channel to the Wirecast console. Follow these instructions to obtain your RTMP URL and Stream Key for your channel: here. Press the Stream Button to start and stop the encode. You can add multiple profiles to stream to send the same output to two different channels. Stream: Stream Key goes here with a 1 on the end, no space in between. Stream: Stream Key goes here with a 2 on the end, no space in between. Stream: Stream Key goes here with a 3 on the end, no space in between. You can have up to 4 streams at once going to the same channel. It is recommended to add streams one at a time to help make sure you have adequate bandwidth. If you are sending multiple streams please make sure Allow Multiple Quality Versions is not checked (the current default). More info here. Pay attention to the a dropping frame rate and excessive CPU use. If you notice this it is suggested to lower your encoding settings and restart the broadcast. It can also be a good idea to add another encode and set the Destination as Record to Disk. This way you will have a local copy of the file. You can do this by clicking the 'Add' button in the lower left of the output settings console, then choosing 'record to disk'. You can choose to record either an mp4 or an mov file to your local hard drive. NOTE: This is only advisable if you are sure you have a powerful enough computer to do so, as adding a local recording can greatly increase the workload on your computer's processor. If you are using Wirecast and want to record to Ustream you will need to use the Remote Console.